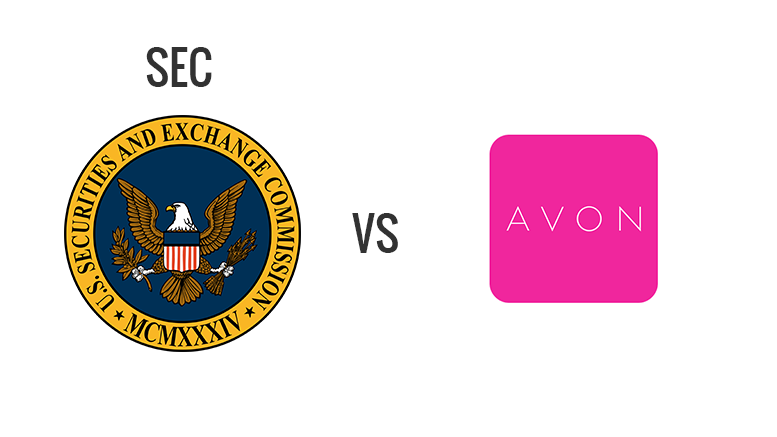 The report further noted that Avon “made no new disclosures of SEC investigative activity” since the conclusion of an investigation in December 2014. In addition, the investigation confirmed on August 18, 2015, “appears unrelated” to the previous disclosure. $68 million was paid to settle the DOJ’s criminal investigation and $67 million settled the SEC’s civil investigation. As part of the settlement, Avon was also required to retain an independent monitor to review its FCPA compliance program for a period of 18 months, followed by an additional 18 months of self-reporting on its ongoing compliance efforts. Avon then entered into yet another round of settlement negotiations in response to a claim by some of its shareholders’ lawyers. Avon decided to settle that class action for $62 million, despite the fact that the court granted its first motion to dismiss on the grounds that the plaintiffs had failed to demonstrate that Avon made any false statements regarding the use of bribes. Avon brought another motion to dismiss the plaintiffs’ amended complaint, which apparently also had a considerable chance of success according to the statements made to the judge by the shareholders’ lawyers in explaining the fairness of the settlement for the plaintiffs. Despite the frailties in the shareholder class action, Avon thought it best to reach an agreement to settle. In many cases, the serious disruption to the management of the company of a class action law suit, even one that has significant weaknesses, justifies a settlement. Dealing with criminal and civil enforcement proceedings for several years, followed by having to defend derivative class action law suits, can be a severe distraction for a company and its management. Companies can avoid this disruption by implementing anti-corruption compliance programs, including strict management oversight of overseas operations. However, having an anti-corruption compliance program on paper is not enough; the program must be robust and effectively implemented to adequately mitigate risks – particularly in high risk countries such as China. As we have noted previously, companies operating in China face high anti-corruption risks, and the slightest indication of wrongdoing should necessarily lead to a thorough investigation. In some cases, enforcement authorities will consider involving independent counsel with experience in conducting such investigations followed by the immediate implementation of remedial measures to be the only appropriate response. When Avon first learned about potential FCPA problems in China through an internal audit report, it consulted an outside law firm but did not carry out a thorough investigation. Instead, it simply directed that internal control measures be instituted at the subsidiary. However, no such measures were taken, and there was no follow-up on the compliance initiatives. Avon began a full-blown internal investigation a few years later only after the CEO received a whistleblower letter. However, by this time, much of the damage had been done. An appropriate early response commensurate with the level of risk of non-compliance is critical. Failure to conduct a thorough internal or independent investigation using outside experts when the various risk factors warrant one heightens the risk of scrutiny by enforcement authorities and derivative class actions further down the road. Companies should consider risk factors such as the previous history of anti-corruption violations at the company, the geographic and political profile of the country, the nature of the industry, interaction with government officials, use of agents and consultants, methods of compensation for employees, agents and consultants, and effectiveness of the compliance program in responding to any indications of wrong-doing by company officials. To minimize compliance costs, companies often choose to not respond appropriately, only to discover later that the enforcement authorities believe that the violation could have been uncovered if the company had undertaken a timely, thorough and independent investigation. The consequences of seeking to minimize disruption and costs in the first instance can result in more time-intensive and expensive steps being necessary later, including cooperating with enforcement authorities in conducting a more thorough internal investigation, responding to subpoenas and search warrants, paying hefty fines, and responding to class action law suits seeking enormous amounts for damages claimed to have been inflicted on a certain group of shareholders. The old proverb “a stitch in time saves nine” should be heeded by compliance officers seeking to galvanize internal corporate response to possible anti-corruption violations. Be the first to comment on "SEC Investigation into Avon"